Once again, Forgotten New York avoided the deluge as a 5-inch rainstorm that Noah would have trouble navigating descended on New York — but two days before the scheduled tour. For the third straight year FNY tours have been remarkably rain-free. About twenty ForgottenFans took advantage of the sun and 70-degree weather to tour the park that civil engineers Olmsted and Vaux preferred over their other great NYC creation… Central Park. Brooklyn’s crown jewel contains architectural monuments and natural-appearing highlights, but like its Manhattan counterpart, every bit of it is meticulously landscaped and planned. 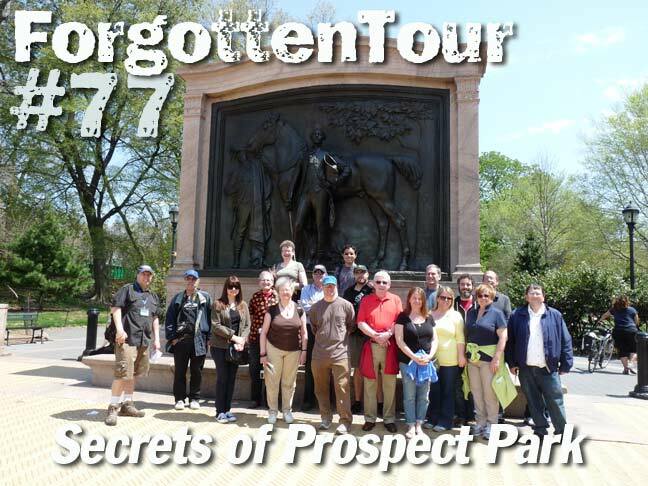 After a 20-year period of neglect in which it was turned over to the tender mercies of not only muggers and criminals, but also rot, rust and the infamous efforts of parks czar Robert Moses, Prospect Park has been cleaned up to meet the 21st Century. Its latest improvement was the removal of Moses’ intrusive Wollman Rink and the restoration of Music Island, this time as a haven for wildlife. 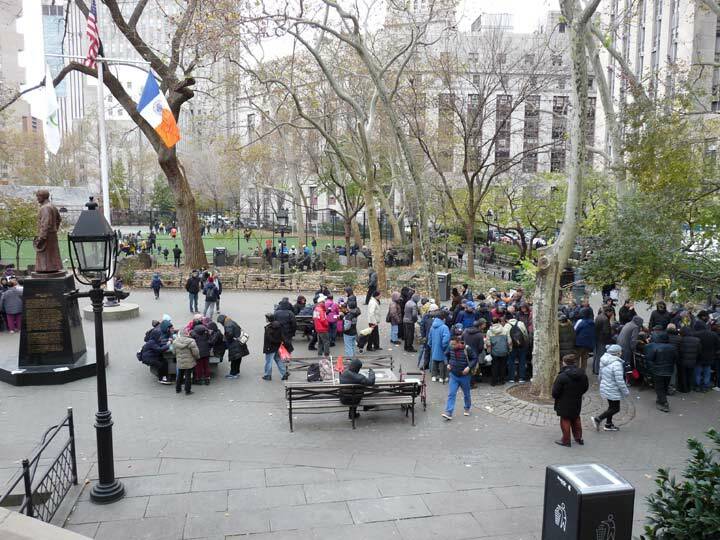 Forgotten Fans enjoyed a 3.5 hour march in an S-shaped path from Grand Army Plaza to the Parkside Q train station at Ocean Avenue. The works of turn of the 20th century architect Stanford White were prominent, as well as hidden ponds, rivulets, arches, rare trees and a cemetery (!). Nice pictures on the Flickr page, but the heading reads “Secrets of CENTRAL PARK”. Sorry to hear the Wollman rink is gone. Spend many hours there in the 60’s. The built a better one nearby. confused. Two great parks indeed!